If you want to come to study in Australia you have to apply for australian student visa. Each student visa application is assessed according to an assessment level set up by Department of Immigration of Australia. It means that your stdudent visa application depends on which country you coming from and which course you want to study in Australia. - COE - Confirmation of Enrolment - you will receive one from school after applying and paying for your course. - Additional documents like financial support evidence, qualifications and English competency test may be requiered based on your country level and what type of course you have choosen. There are 5 assesment levels in Australian student visa system. Assesment levels are determine base on economic situatuion of your country and previous history of people who came on the student visa and how often they break Australian student visa conditions. Assessment level 1 represents the easiest assessment level and assessment level 4 the most diffcult to obtain student visa to Australia. The more diffcult assessment level the more evidence you will need to provide to demonstrate your financial capacity, understanding of the English language and other relevant matters. You can find out your assessment level and visa subclass by looking up your nationality and visa subclass applied for in Student Visa Assessment Levels or by visiting the DIAC website. 5. If you are in assessment level 2, 3, 4 then you must make your first student visa application while you are outside Australia. The following table describes the mandatory conditions that are attached to all Student visas in the following subclasses. You cannot work more than 20 hours per week* when your course is in session (other than work which has been registered as a part of the course). Note: No work limits apply during recognised periods of vacation offered by your education provider. You cannot undertake work until you have commenced your course in Australia. * A week begins on a Monday and ends on the following Sunday. You must remain enrolled in a registered course (unless you are an AusAID/Defence student or secondary exchange student in which case you must maintain full-time enrolment in your course of study or training). Note: Under policy, this means that you must maintain Overseas Student Health Cover (OSHC). You must continue to satisfy the requirements for grant of your student visa. This means, for example, that your main course of study must continue to be a course in the education sector that matches your student visa, and that you must continue to have sufficient financial capacity to support your study and stay in Australia. You must maintain adequate schooling arrangements for your school-age dependents who joined you Australia on a student dependent visa for more than 3 months. If you have not turned 18 you must maintain adequate arrangements for your accommodation, support and general welfare for the duration of your stay in Australia. To maintain adequate arrangements for welfare you must stay in Australia with: your parent or legal custodian or a relative who has been nominated by your parents or custodians who is aged over 21 and is of good character or accommodation, support and general welfare arrangements that have been approved by your education provider. Note: You must not change those arrangements without the written approval of your education provider. If your welfare arrangements are approved by your education provider you must not travel to Australia until your welfare arrangements are due to commence. You must notify your education provider of your residential address in Australia within 7 days of arriving in Australia. You must notify your education provider of any change in your residential address within 7 days of the change. You must notify your education provider of a change of education provider within 7 days of receiving the electronic Confirmation of Enrolment certificate or evidence of enrolment. Assessment Level 3 and 4 applicants only, where the course duration is 10 months or less. 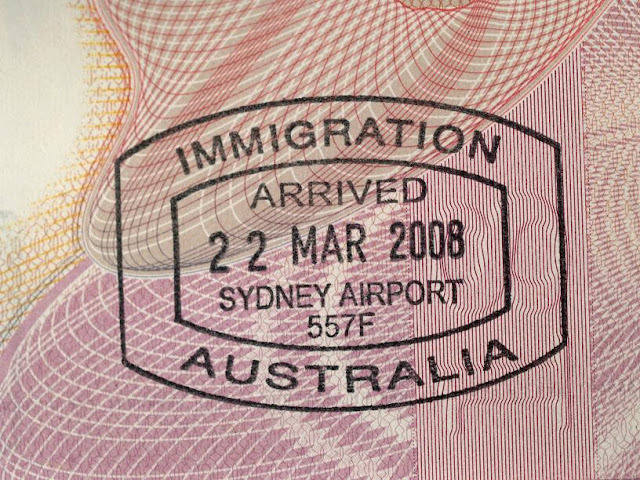 Note: if you apply for and are granted Permission to Work, this will change only the work conditions on your Student visa, all other conditions will remain the same including 8534.
. A further Student Guardian visa.
. A visa to engage Australia's obligations under the 1951 United Nations convention relating to the status of refugees.